With aim to focus on providing low cost Odoo themes for all E-Commerce and other business. We are here at Kanak Infosystems working with professional Odoo theme developers who are providing unique odoo theme development solutions to our customers. We have successfully delivered many creative and useful Odoo functional templates to our happy clients. 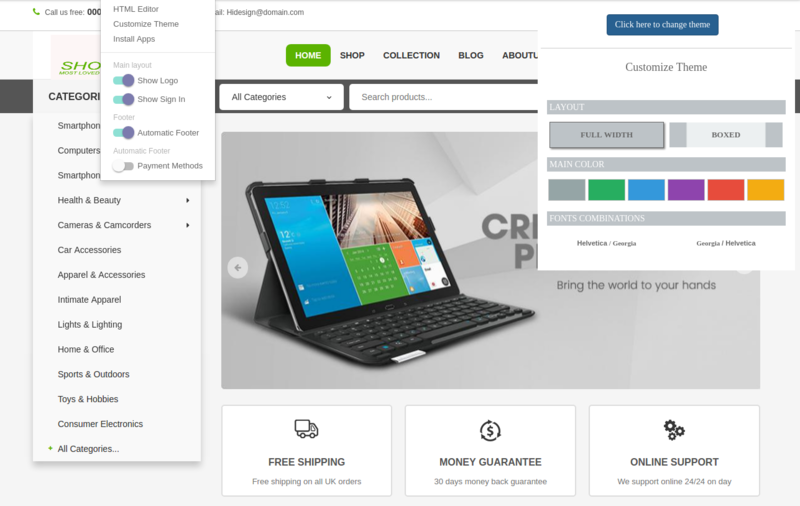 Some of our most demanding odoo themes are "OdooShoppe Backend Theme" , E-Commerce Theme "Theme Progressive"
We are glad to inform our customers that we have our own Odoo E-Shop where you can find awesome Odoo Themes for business and E-commerce websites where you can purchase creative and fully customizable Odoo Themes. You can request us for Demo; our team of odoo expert will assist you with all functionality of your chosen theme. We understand our customers and web standards and always willing to improve on all aspects of Odoo Services. Our team is build-up of several senior Odoo experts, eCommerce analysts and web designers. All our Odoo themes are W3C Validated. You can choose any theme from our Odoo E-Shop and our Odoo backend experts will shape it according to your business need and help you to implement your online store. We can develop multi-layout themes. Our Odoo consultants and Technical experts can integrate Odoo eCommerce with marketplaces like eBay and Amazon. We are also helping our customers to promote their business; Yes, Our team of Odoo SEO experts helps you to rank an Odoo ecommerce store higher in organic search results. So, What are you waiting for? Want to implement Odoo E-Commerce?